Well, maybe… but unless I remember that I need to get outside and see the sun during the day and that I need to exercise to work up some endorphins, then that “normal” post-summer low can quickly spiral down and become a different beast entirely. Marking every October 10th as World Mental Health Day is meant to reduce stigma, build compassion and educate on a global scale. For me, it acts as a warning alarm, reminding me that it’s time to do a personal inventory to ensure that my coping mechanisms are in good working order. 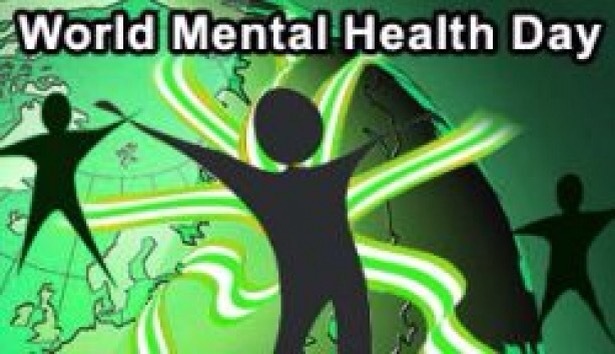 Thanks, World Federation for Mental Health… It’s good to know you’ve got my back! This entry was posted in General, Mental Health and tagged depression, Mental Health, suicide, World Mental Health Day. Bookmark the permalink. “Depression is a flaw in chemistry, not in character.” Exactly the message we need to spread. Thanks for reading!